Welcome to Hobsons Bay City Council's live webcast of Council meetings. 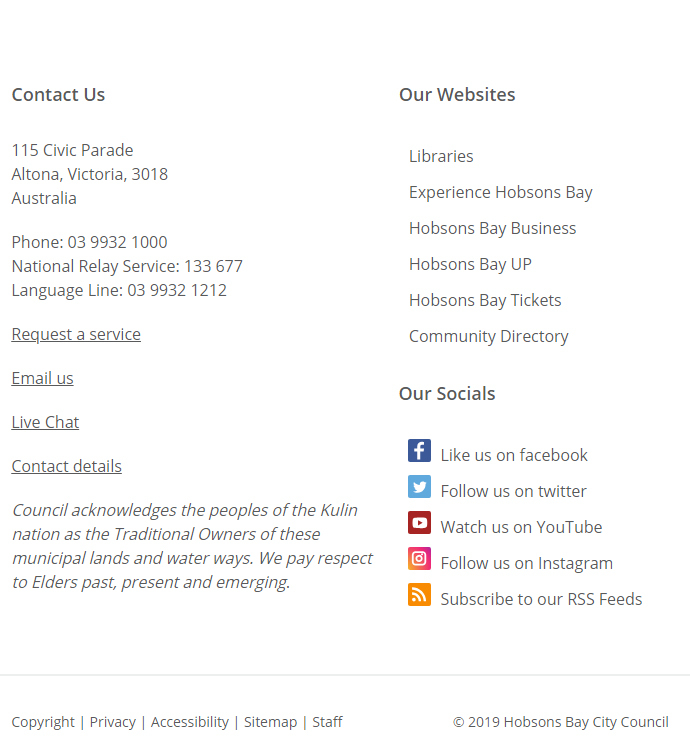 Hobsons Bay City Council offers on-demand video and audio of Council meetings. Live streaming allows you to view proceedings via the internet without the need to attend Council meetings. This gives you greater access to Council decisions and debate and eliminates geographic barriers preventing the public from attending meetings. From here you will be able to access webcasts of live Council meetings, view archived meetings and follow links to meeting schedules, agendas and minutes. 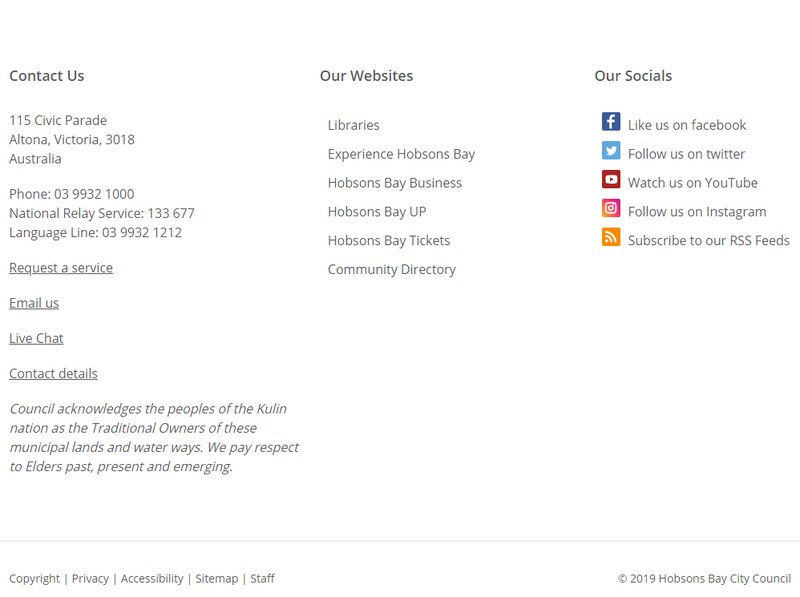 From October 2018, Hobsons Bay City Council is streaming live video and audio of our Council Meetings and Special Council Meetings. Recently recorded meetings can be accessed below; earlier meetings can be accessed via the archive page.